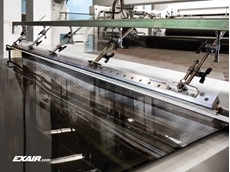 EXAIR Super Air Knife is for quiet, hard hitting curtain of air for blowoff, cleaning, drying and cooling. 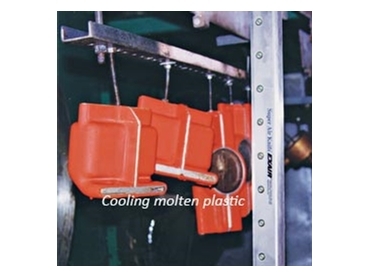 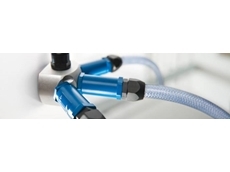 It is the latest generation that dramatically reduces compressed air usage and noise when compared to other blowoffs. 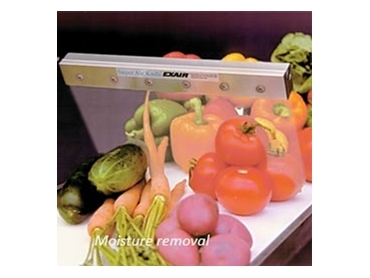 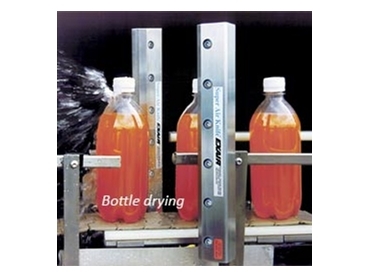 EXAIR Super Air Knife is ideal for energy conscious businesses as there are no moving parts to maintain. 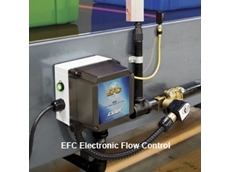 Suitable for drying, cooling and cleaning applications, the EXAIR Super Air Knife is compact, rugged and easy to install. 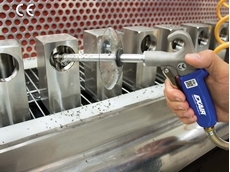 26/10/17 - Compressed Air Australia has introduced a new soft grip back blow safety air gun for cleaning out various internal parts in machining processes. 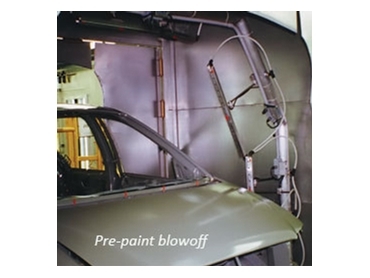 Save $24,000 – No New Compressor Needed! 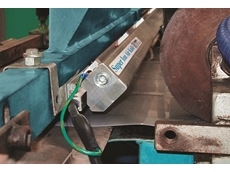 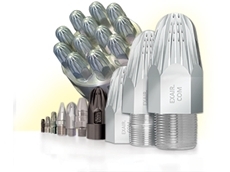 03/02/15 - EXAIR has introduced long super ion air knives ranging from 60″ (1524mm) to a maximum length of 108" (2743mm). 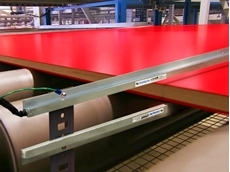 24/03/14 - Compressed Air Australia introduces new long ionising bars from EXAIR designed to eliminate static electricity on paper, film and plastics up to 96″ wide. 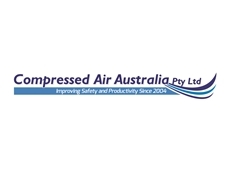 24/01/13 - Compressed Air Australia presents EXAIR’s new 54" Super Ion Air Knife designed for various industrial cleaning applications.